SupaBord is back at The Block 2018- SupaBord is back for the fourteenth season of Australian reality television series The Block. This time our temporary surface protection brand is providing to the contestants Bianca and Carla, a heavy duty covering to protect all the finished surfaces from construction site damage and spills whilst contributing to a safer working environment. 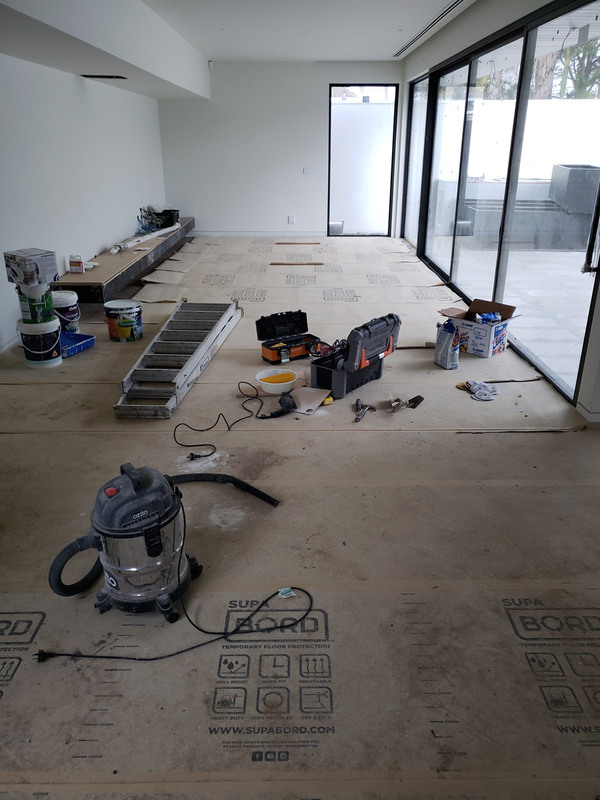 The girls are not only working hard on showing their great styling skills, but also on saving time and money by doing it right by protecting the luxury herringbone floors from Renaissance Parquet selected for their penthouse. They know protection is needed to safeguard any heavy traffic that it may endure and also contributing to a safe work environment. 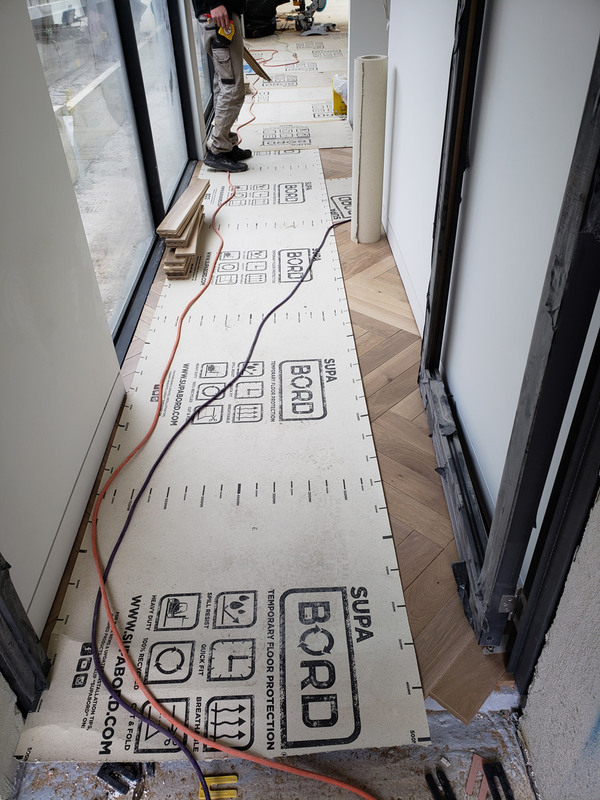 Incorporating the latest technology in surface protection, SupaBord has fast become a proven and trusted temporary surface protection product for commercial, residential construction and renovation projects. Contact us for more information or enquiries on our product range.